HIT! 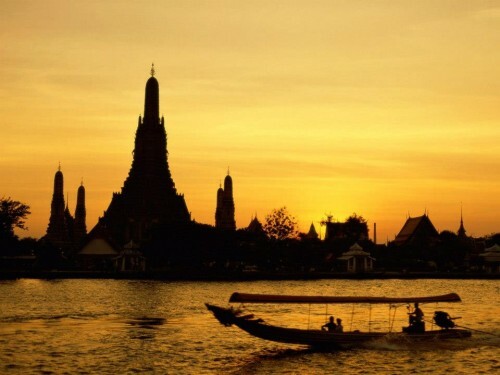 Cheap flights to Thailand in main season for only €371! Etihad now offers super low prices of flights to Thailand! 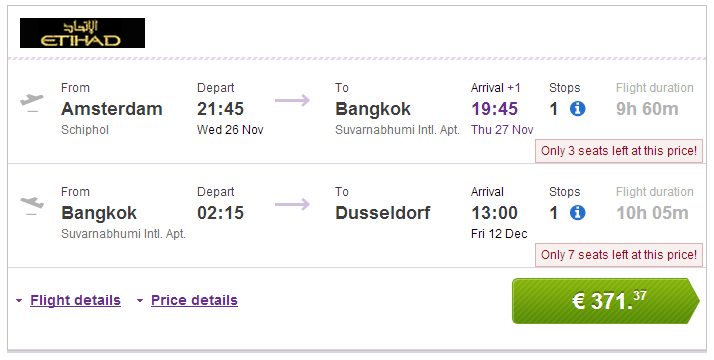 Multicity tickets Amsterdam – Bangkok – Dusseldorf are available for only €371! You can also return to Frankfurt or Munich for €374 or to Berlin for €396! Travel dates are perfect in main season from November 2014 until March 2015. Etihad offers amazing quality onboard and modern fleet. Book via BudgetAir (click on Show extra search options to enter return to Dusseldorf), this tariff is not available via Etihad. « Cheap flights to USA: Boston for €375!